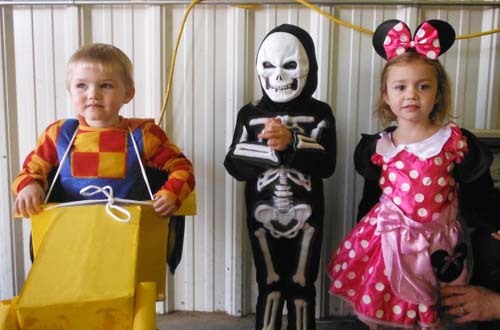 The Annual Halloween Party put on by the Town ‘n Kountry Kids 4-H Club and the Letcher Community Club was held on Sunday afternoon, Oct. 28 in the Letcher Community Center. 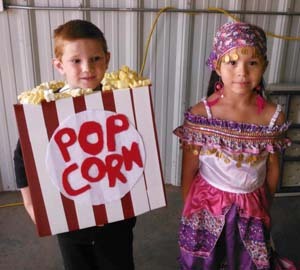 Over 200 people attended and 110 costumes were judged. After judging, games and a scavenger hunt were followed by Trunk or Treat with 13 cars in attendance. Ten big bags of food for the food pantry were collected and also a free will donation. It is really great that everyone is so good about volunteering. PHOTOS, TOP: Three and four years old: first place – Bob the Builder, Shay Bechen; second place – skeleton, Michael Foos; third place – Minne Mouse, Maddie Morris; BOTTOM: First and second grade: first place – popcorn, Michael Hoffman; second place, gypsy, Damani Casillas; third place (not pictured) – grim reaper, Atley Tarbox. 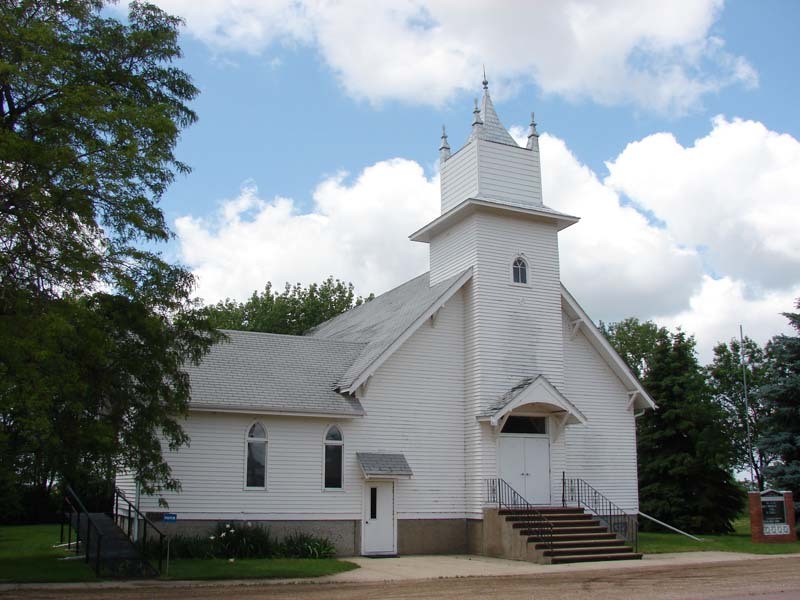 Trinity and Storla Lutheran churches will be celebrating 130 years of ministry, together on Sunday, Nov. 4 with a joint worship at Storla at 10:30 a.m. followed by a potluck dinner. All members, former members, friends and neighbors are invited. The combined celebration is appropriate because the history of the two churches has been intertwined from the beginning. The two congregations began as a single congregation at a meeting on April 7, 1882. At that meeting a single congregation was formed and a cemetery was established. Several people were buried before any church building was built. When it was time to build the church the members were divided over the location. Some wanted it across from the cemetery, where Trinity is located. Others wanted it a mile north of where the present day Storla church sits. Four miles may seem to be a short distance, unworthy of a disagreement today. But those were the days of horses and wagons and walking, and if you lived on the far side of either location it was worth disagreeing. In 1924 Storla congregation moved their church building one mile to the south into the village of Storla. Two weeks later a wind storm blew down many buildings in the area, including both church buildings. At this time when there was neither an east nor a west church a motion was passed to build one church building, but the motion did not specify a location. A parsonage was built from the lumber of the destroyed Storla church, but when it came time to rebuild they built two churches three miles apart. In 1944, Storla and Trinity joined to call Pastor O.M. Knudson. Since then Storla and Trinity have worked together in ministry in the community. Today they share a Sunday School, a Board of Christian Education, Luther League and confirmation classes. They worship together on Sunday mornings, alternating between these two beloved old building. In 1996, Salem Lutheran, Mt. Vernon, asked to join Storla and Trinity and to form a three-congregation parish. Both congregations continue to have a strong heart for mission today. Both Storla and Trinity are recipients of the “Holy Cow Award” from the South Dakota Synod Hunger Task Force for their per-member giving to the World Hunger appeal. They have been diligent supporters of Lutheran Social Services, Lutherans Outdoors, the Lutheran Malaria Campaign and the food pantries in Aurora, Sanborn and Davison counties. Trinity and Storla congregations invite everyone to join them in a day of celebration. 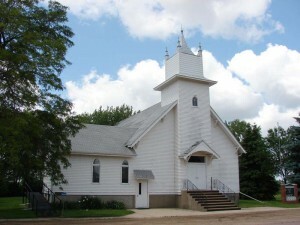 PHOTOS, FRONT: Storla Lutheran; ABOVE: Trinity Lutheran. The long-awaited and even longer talked about 2012 election is this coming Tuesday, Nov. 6 and every registered voter is encouraged to make their voice heard by getting out and casting their ballot. The obvious race between Mitt Romney and Barack Obama will be the most nationally televised race, and it’s hard to miss the battle between challenger Matt Varilek (D-SD) and current US Representative Kristi Noem (R-SD), but there are many important local races that can hide in the shadows. In South Dakota District 8, challenging Sen. Russell Olson, Republican and current Senate Majority Leader, is Democrat Charles Johnson. Johnson is a farmer in Lake County and a former Lake County Commissioner. He is married with five children. The District 8 House race has a full list of fresh faces vying for the upcoming term. Scott Parsley of Madison is running on the Democratic ticket against Roy Lindsay also of Madison. Parsley is married with three children and is a Vietnam era US Navy Veteran. Lindsay is a retired shop teacher in the Madison School District. On the Republic ticket for House is retired pastor Gene Kroger and Flandreau dentist Leslie Heinemann. Both are married with grandchildren. For Sanborn County Commissioner, District 2, Paul Larson is challenging Keith Senska. Only District 2 residents will have this option. If you are unsure whether you reside in District 2, you may contact the Sanborn County Auditor. On the ballot for the James River Water Development District Director position is Leon Fredrichs and Gary Boomsma. One question, which may come as a surprise when handed the ballot, is regarding the Supreme Court Justice Retention of Justice Glen A. Severson. Severson was appointed District 2 Justice in 2009. He was an attorney and deputy states attorney in Huron in the ‘70s and was Second Circuit Court Judge from 1993-2009. It is a simple yes or no question as to whether he should be retained in office after his term expires in January. There are a number of decisions to be made regarding the laws of the state, with four Constitutional Amendments to be decided, an Initiated Measure and two Referred Laws. Some of these are some heavy-duty actions the state government is proposing so everyone is encouraged to educate themselves on each decision before entering the voting booth on Tuesday.